In one conversation I had with my husband, I told him how I love walking in and around downtown Naga City. Given a choice between jogging and walking, I'd go for the latter. Walking clears my mind off things while jogging doesn't because I always end up gasping for air, LOL! No, seriously, walking is the most relaxing sport for me. So when Skechers Philippines sent me this pair last weekend, I almost made double somersaults due to pure joy and excitement! It's about time I get a new pair of walking shoes! 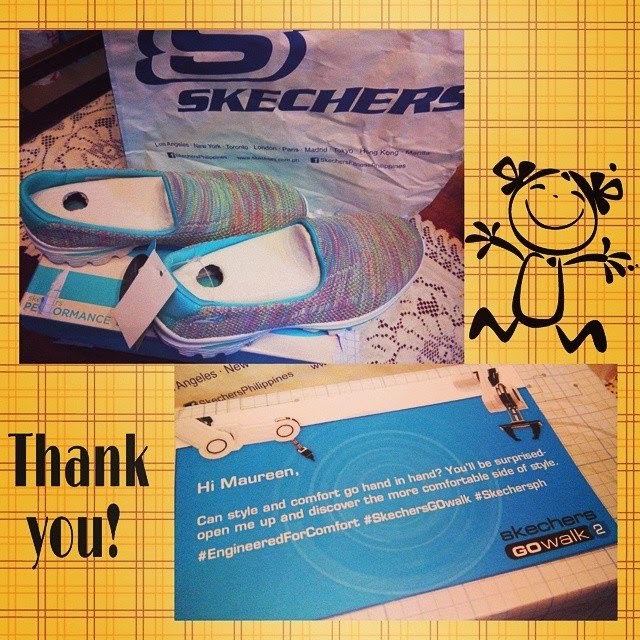 The Skechers GOwalk shoes arrived right in time for our Palarong Pinoy at The FEAST Taytay. The shoes were really comfy and my feet did not feel sore even when I wore it the whole day. I was standing up almost the whole day because I was the over-all in-charge of the games. It's lightweight and it felt like walking on a pair of cushions. 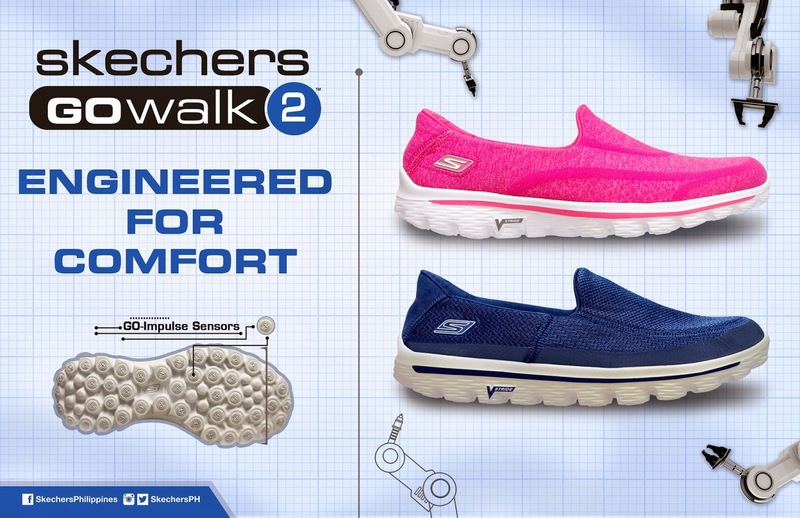 Feel the bounce and grab your own pair of Skechers GOwalk. Visit the Skechers GOwalk kiosk from October 16 to 29, 2014 at SM Mall of Asia for a chance to get Skechers GOwalk premium items. 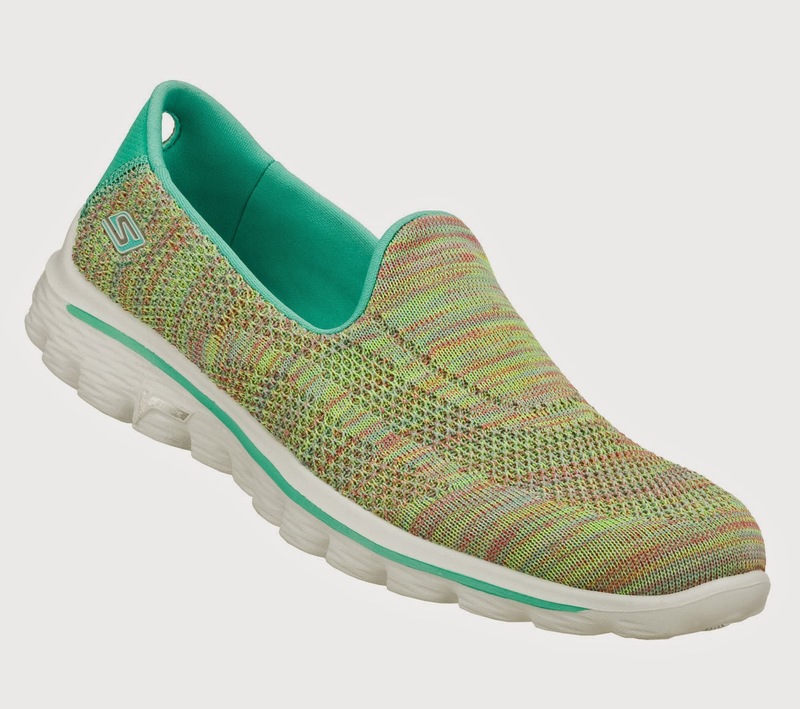 The Skechers GOwalk is available in any of the following Skechers stores: Glorietta 2, TriNoma, Ayala Fairview Terraces, SM North Edsa, The Annex, SM Mall of Asia, Robinsons Galleria, Robinsons Place Manila, Gateway Mall, Lucky Chinatown, Market Market, Festival Mall, SM Fairview, SM Dasmarinas, Paseo Sta. Rosa, Marquee Mall, SM Pampanga, SM Clark, Ayala Center Cebu, SM City Cebu, SM Davao, Centrio Mall, Cagayan de Oro, and LimKetKai Mall CDO. For more information, visit the Skechers Philippines Facebook page via www.facebook.com/SkechersPhilippines, on Twitter, and Instagram via @SkechersPH. Don't forget to tag your Skechers GOwalk photos and moments using the hashtags #EngineeredForComfort, #SkechersPH, and #SkechersGOwalk.